The flowers hang upside down, the fruit sits in a sack that turns papery brown as it matures, and it's part of a family of plants that range from delicious to deadly. It's at once a potential cure for some of the world's worst plagues and an agricultural menace in many places. 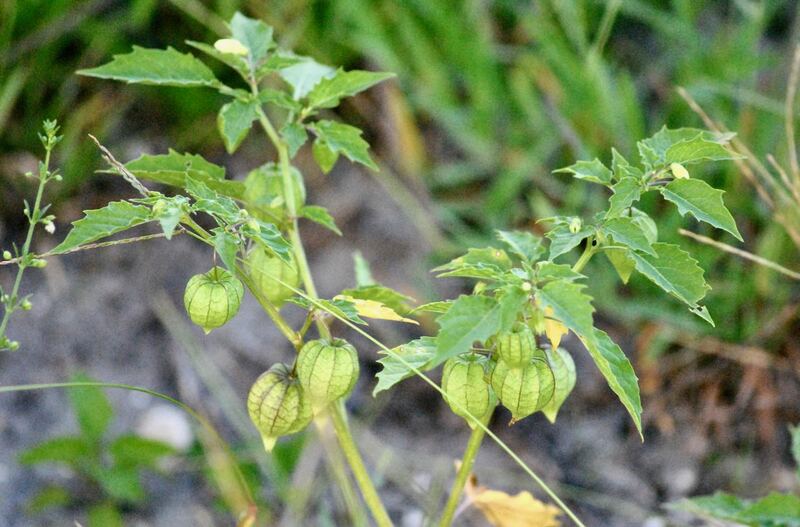 This, in short, is cutleaf groundcherry, Physalis angulata, a Florida native that has somehow managed to make its way around the globe. The cutleaf like all groundcherries (and there are a bunch of them), is a cousin to the tomatillo commonly found in Mexican and South American cuisines. If you look at the papery pod that bears the fruit — a single berry similar to a cherry tomato — you can see the family resemblance. Physalis is a Greek word meaning bladder. Cutleaf groundcherry, like its cousins, is a rather peculiar looking plant. The flowers, which bloom during the warmer months, are about the size of a dime, pale yellow and hang upside down. The plant itself can be quite tall, more than six feet potentially, although the ones we've seen were much shorter. The leaves are irregularly shaped, roughly elliptical or oval, with irregular teeth along the edges. It is an annual. The fruit is edible. It is native to North America, found along the Atlantic Coast as far north as Massachusetts and throughout the southern tier of the United States roughly from Virginia to California. It's also believed to be native to South America, Central America and possibly Australia, but it's so widespread on the globe, found in dozens of countries on every continent sans Antarctica, that its heritage gets a little murky. It's become an invasive pest in Australia, parts of Asia, Africa and the Pacific, including Japan, Korea, Thailand, Uganda and Guam. It also harbors diseases and pests that can infect crops. 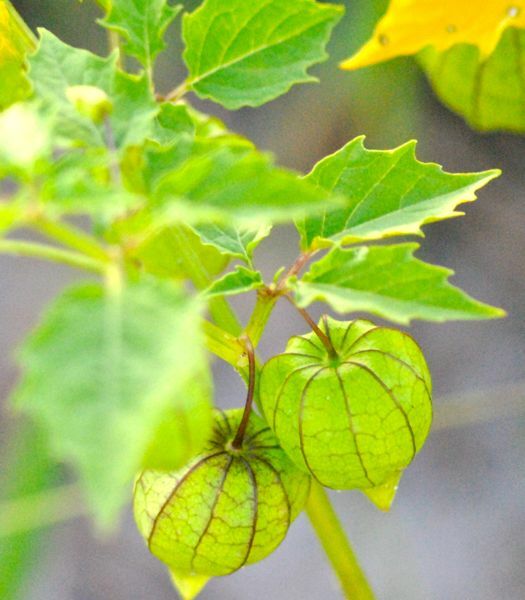 On the other hand, in traditional medicines, the stems and leaves of cutleaf groundcherry have been used as remedies for malaria, asthma, hepatitis, dermatitis and rheumatism. 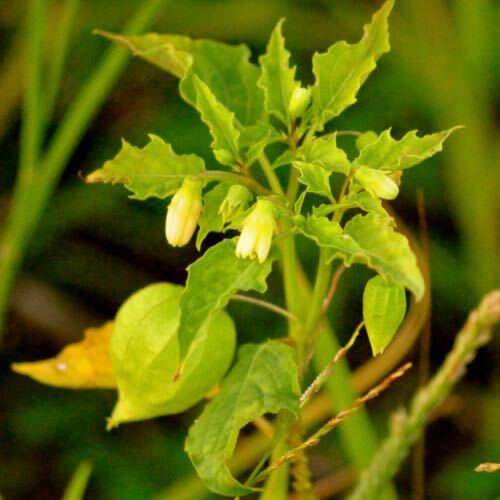 About 30 years ago or so, researchers began looking at the chemicals cutleaf groundcherry produced, particularly a group called physalins, to see if any might make useful drugs. One study done in 1992 found that two chemicals in this group had various levels of effectiveness against lines of human and animal cancers, including melanoma, lung cancer and cancer of the cervix. One chemical showed promise against lymphocytic leukemia, both in dish and animal tests. A second study done 11 years later found that these physalins had promise as an anti-inflammatory drug and as a treatment for autoimmune diseases. The authors said physalins had actually outperformed the "gold standard" drug in use at the time but questions remained about how safe the drug might be. Other common names include: angular winter cherry; annual ground cherry; annual groundcherry; balloon cherry; bladder cherry; bladderberry; bush tomato; cape gooseberry; gooseberry; ground cherry; wild cape gooseberry; wild capegooseberry; wild gooseberry and winter cherry. It is a member of Solanaceae, the night-shade family, which includes tomatoes, peppers and potatoes. 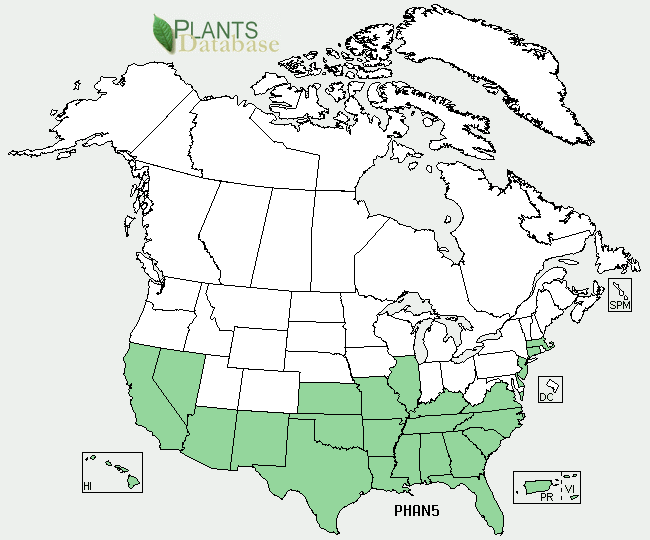 United States Department of Agriculture distribution maps for cutleaf groundcherry.